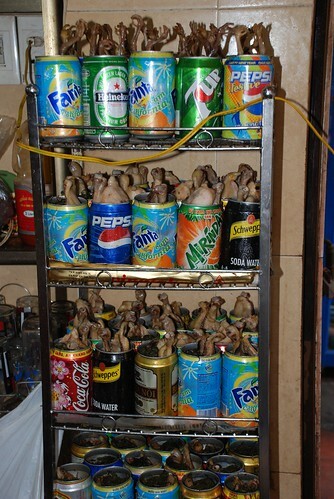 Chicken in a Coke can? Sounds weird doesn't it? But in Hanoi nothing is impossible. 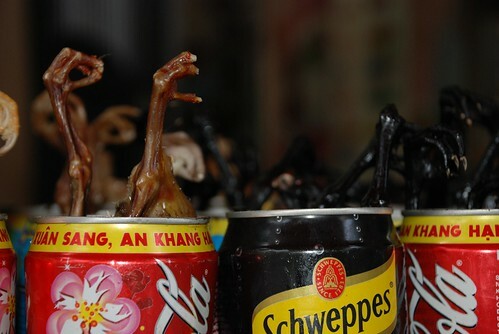 People serve chicken with chinese herbs in old coke cans and it's very common and famous. 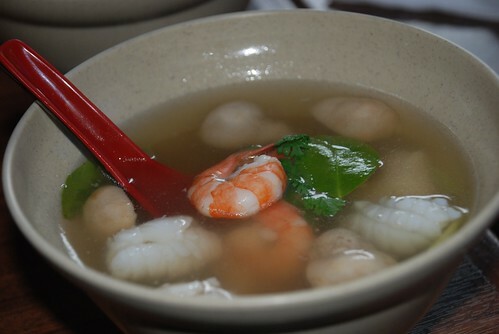 Known as ga tan, I love this dish very much. There are two kinds of ga tan, one is black chicken and the other is normal chicken. The black chicken ga tan is smaller and more expensive. 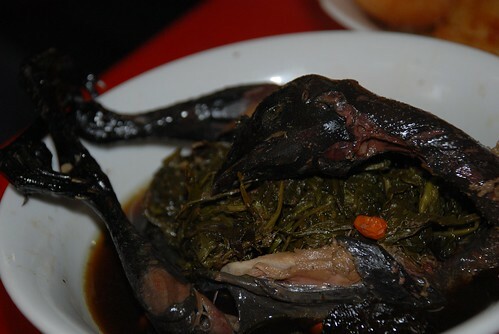 I dont know why it is more expensive as they cook it with the same herbs as the normal chicken, and the black chicken doesn't actually have as much meat compared to the other. In general this is a healthy snack as it is not too filling. It is full of different medicinal herbs which are supposed to be good for your health. I eat one every week and I think it helps me to sleep very much. I'm not sure if there's any real truth in these theories about certain foods being good for you. I suppose if you hear it often enough, you start to believe it. It's amazing what you can see on the roads in Hanoi. Lastweekend, while I was driving along the dyke road toward the old quarter for lunch, I saw a huge green pile of vegetation about 5 metres high moving along the road in the distance. From behind, you couldn't even see a vehicle. As I got closer it became clear that it wasn't a moving tree. It was a truck full of tree branches which were kind of sweeping the road sending heaps of dust and leaves into the eyes of everyone behind it. Finally, I got my photograph and got the hell away from it. I could imagine that somewhere down the road the whole lot would fall off and cause a big traffic accident. 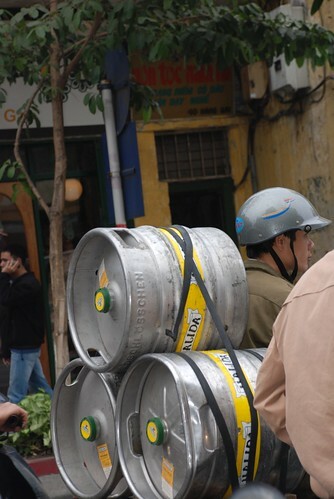 There are laws about what can be transported on trucks and motorbikes in Hanoi but there doesn't seem to be much action to control it. 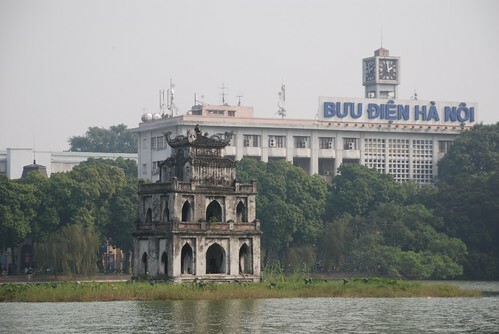 Hanoi these days is so hot plus the high humidity makes the temperature feel even worse. I couldn't be bothered cooking tonight even though I went into the market this afternoon. I decided to go to beer hoi near my place to have a few beers and eat something before going home to do my home work. I have been studying academic English at ACET for a week so far and it takes most of my time at school and at home. It's good to keep updated with the language as I am not a native speaker. Drinking cold beer on such hot days is great. I can totally feel where the beer goes. It sounds like I am an alcoholic but I do like drinking beer or white wine especially in summer. Food in the beer hoi was ok and reasonable and beer is cheap. 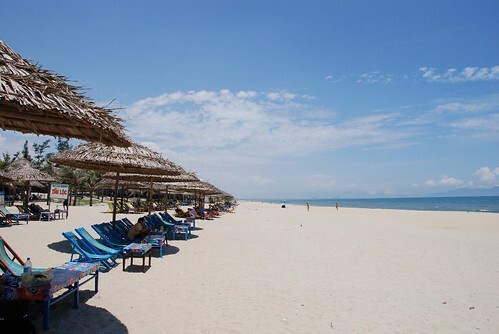 We only paid 150,000Vnd for two people. The beers tasted even sweeter as I just got my visa for Australia and my trip will take place in the second week of October for 5 weeks. Really looking forward to it! 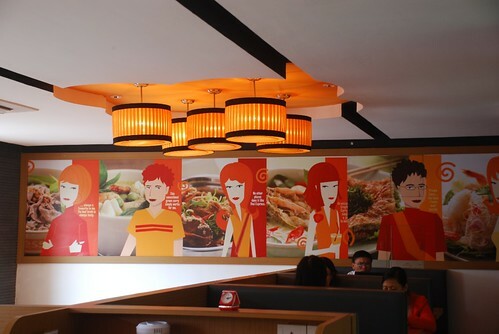 Thai Express is a new fast food chain in Viet Nam. It's new for us but it's been popular for a long time in a few different countries. It can be called fast food but I think it's more gourmet as it is very tasty and not really expensive. I tried Thai Express the first time with my friend in Saigon and last week in Hanoi. I was impressed by how busy they were already, by the good food they served and by the helpful staff. The only thing I wouldn't recommend is the coffee which was not the best but the other drinks were fine. They made very nice salads, stick noodles with seafood in Tom Yum soup, Thailand's pineapple rice fried with seafood and quite a few other Thai specialties. This is a great place for a quick lunch if you don't have lots of time. For those who are vegetarian it's also a good place to pick. 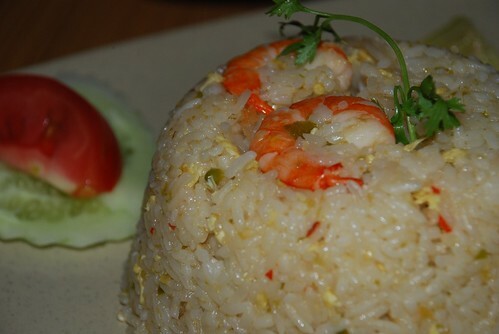 It's an air-conditioned restaurant which is vital for the hot summer weather Hanoi has at the moment. If you are in Hanoi, Thai Express is located right at the top end of Hoan Kiem Lake with a view over the lake. In Ho Chi Minh City, they are pretty centrally located in District 3 but have no view. You'll just have to make do with a great smile from the staff.